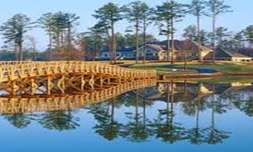 Complete listings of homes for sale in this West Atlanta golf community. Just minutes to I-20 interstate, shopping, downtown Atlanta and the Atlanta Hartsfield Jackson International airport but just far enough to get away from the busy congestion of downtown. An easy 45 minutes drive into town make this area a desirable location for your family! Mirror lake offers great amenities to enjoy as well as the proximity to shopping and the interstate. There are 3 pool areas, tennis courts, 36 holes of golf and a fishing lake and the Mirror Lake Golf and Country club. Area shopping includes Publix grocery, several restaurants, Home Depot and Arbor Place Mall. Health care includes local doctors, Tanner Urgent Care, Tanner Hospital Villa Rica and more. Local schools are Mirror Lake Elementary, Bay Springs and Villa Rica High.